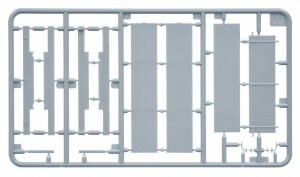 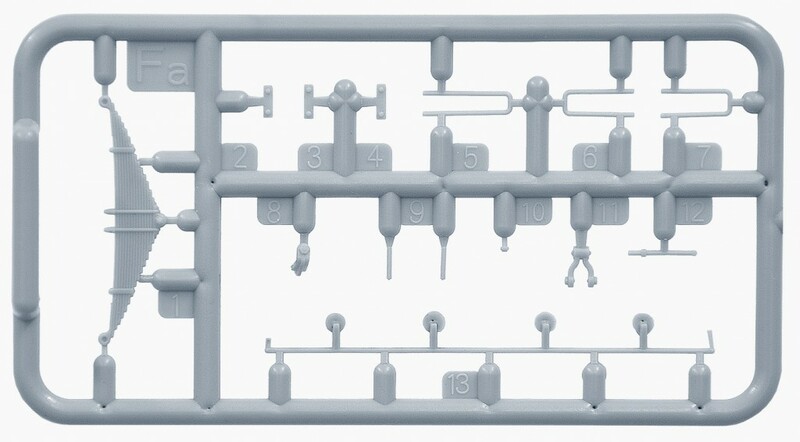 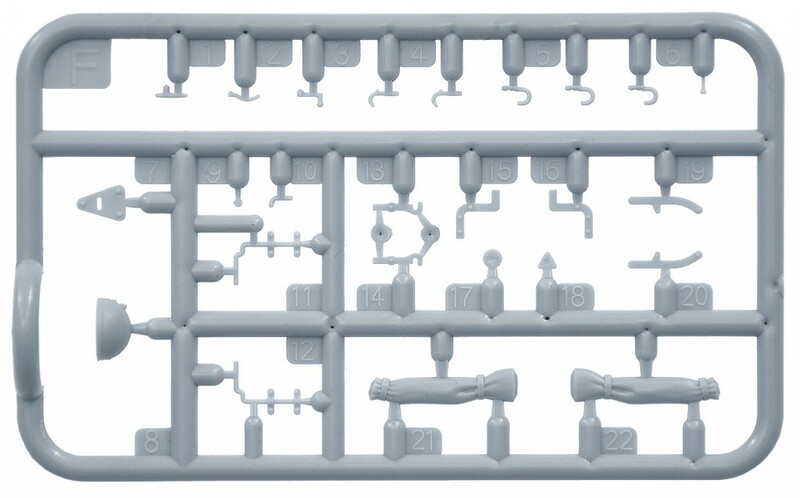 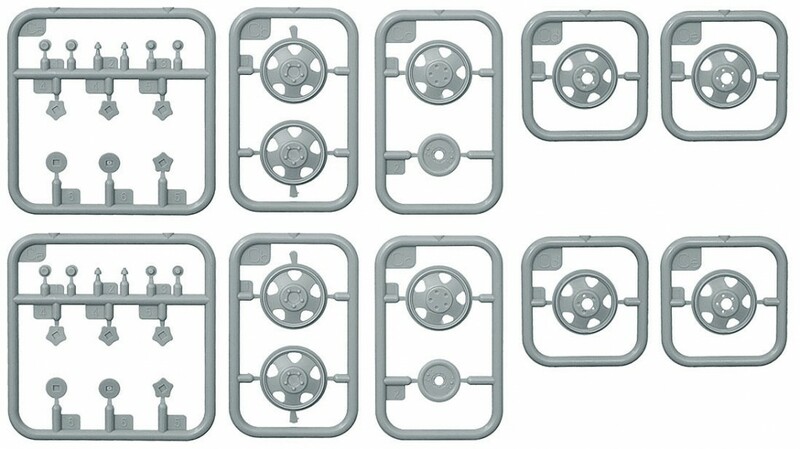 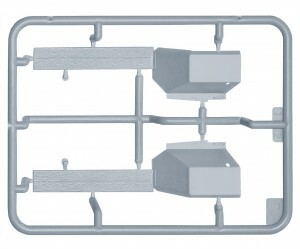 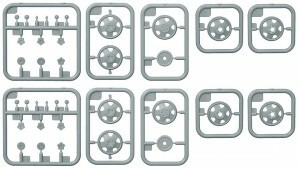 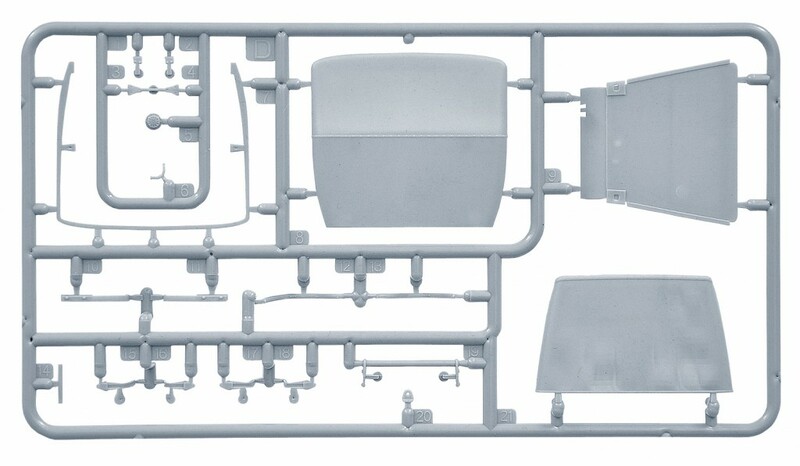 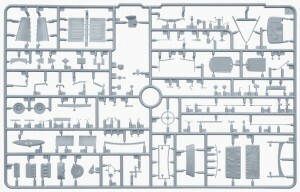 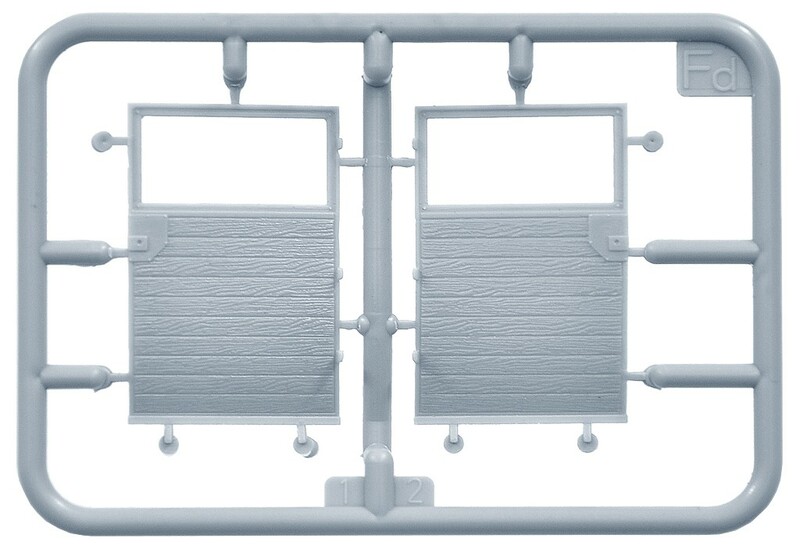 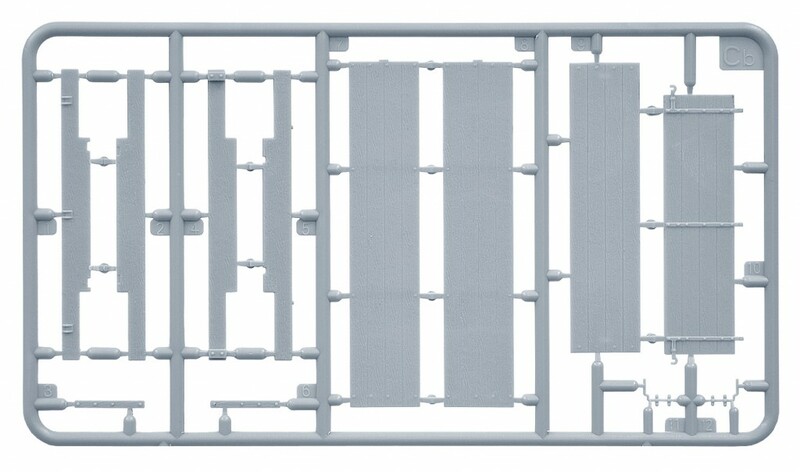 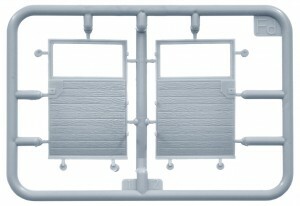 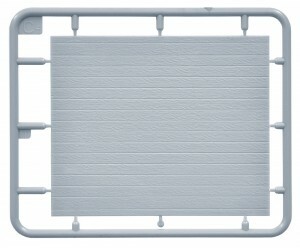 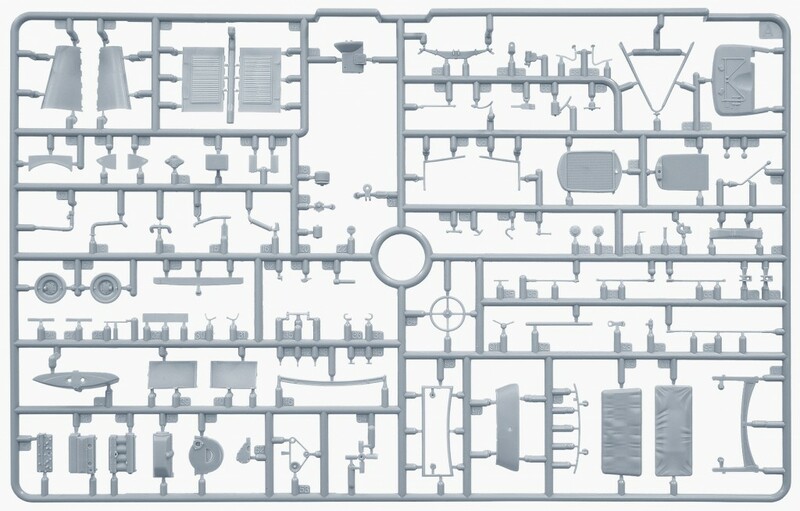 Set includes model of a cargo truck and 2 figures. 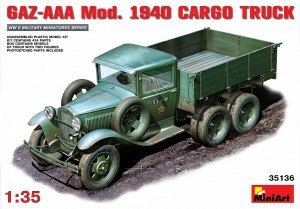 Multi-purpose cargo truck GAZ-MM was produced on base of GAZ-AA truck. 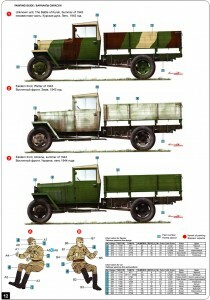 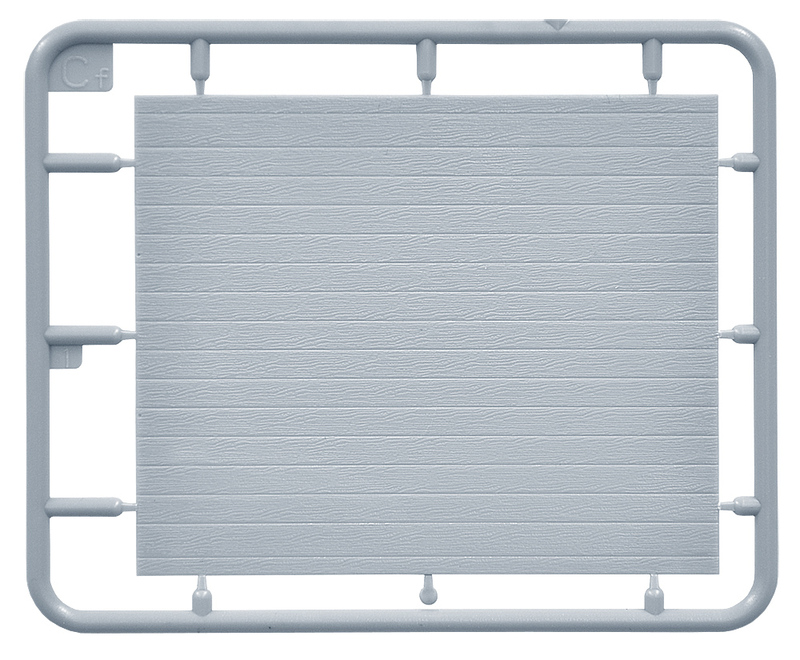 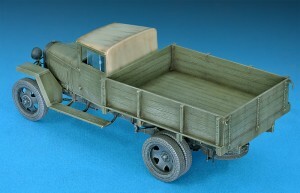 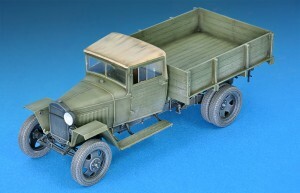 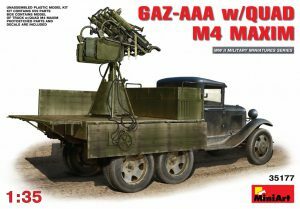 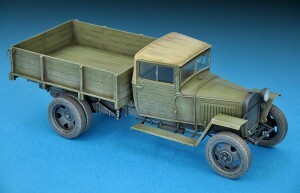 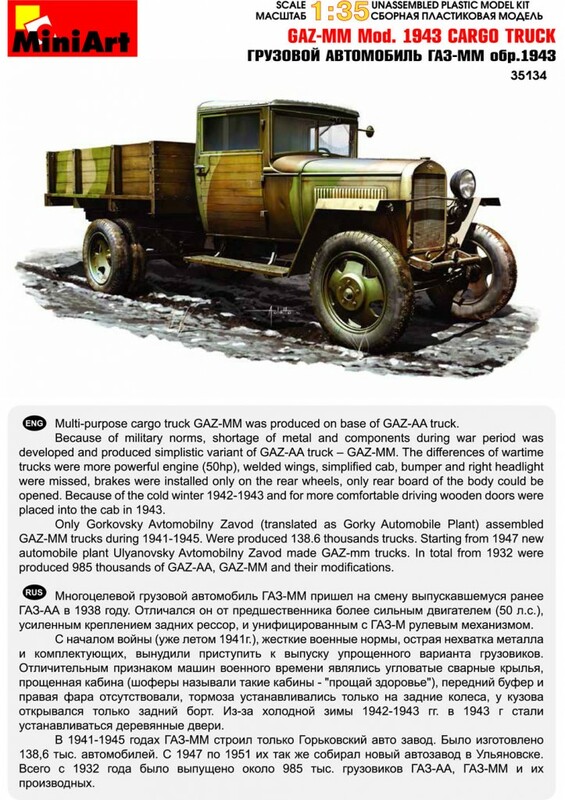 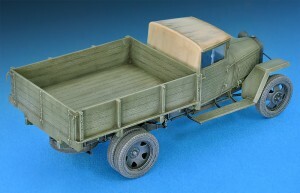 Because of military norms, shortage of metal and components during war period was developed and produced simplistic variant of GAZ-AA truck – GAZ-MM. 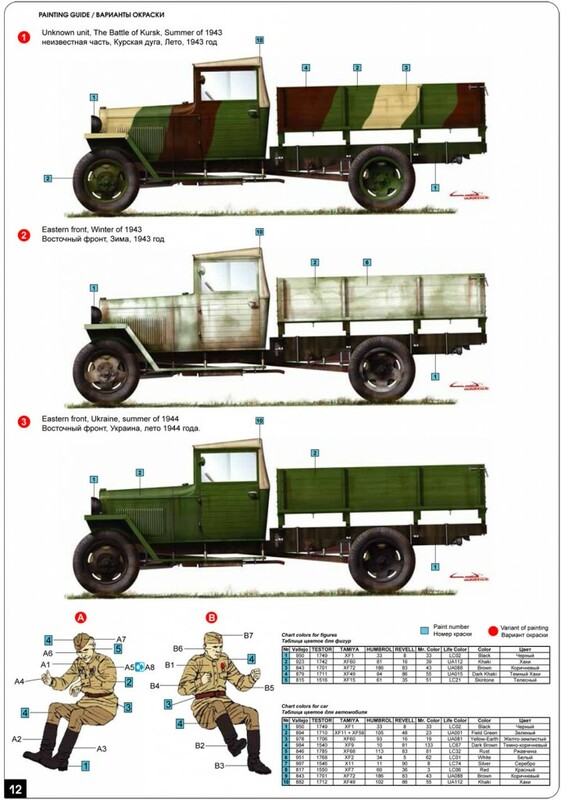 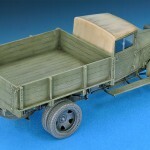 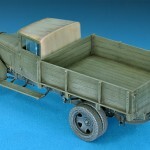 The differences of wartime trucks were more powerful engine (50hp), welded wings, simplified cab, bumper and right headlight were missed, brakes were installed only on the rear wheels, only rear board of the body could be opened. 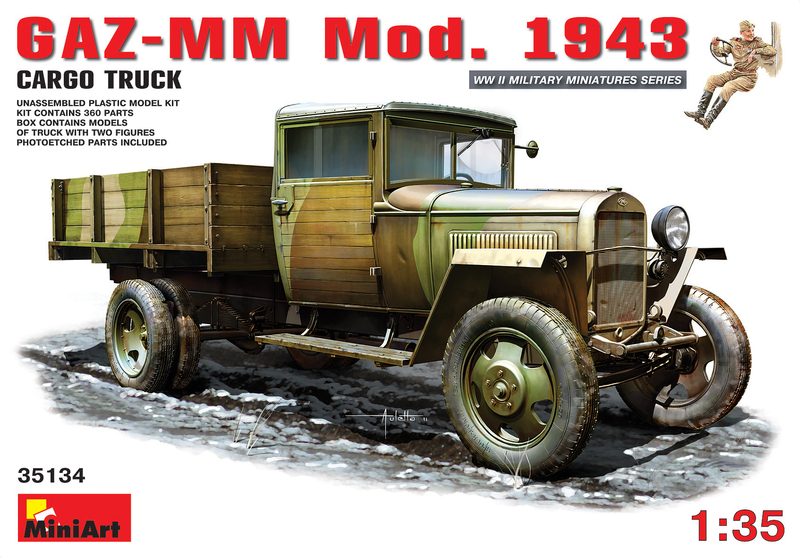 Only Gorkovsky Avtomobilny Zavod (translated as Gorky Automobile Plant) assembled GAZ-MM trucks during 1941-1945. 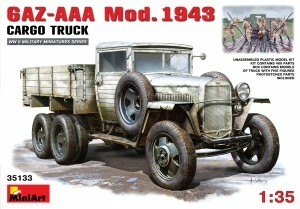 Were produced 138.6 thousands trucks. 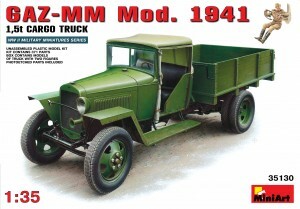 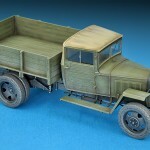 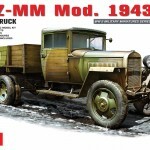 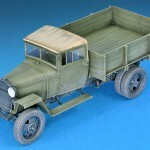 Starting from 1947 new automobile plant Ulyanovsky Avtomobilny Zavod made GAZ-mm trucks. 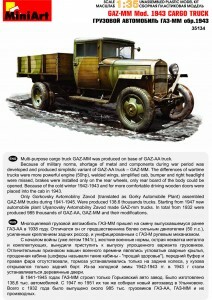 In total from 1932 were produced 985 thousands of GAZ-AA, GAZ-MM and their modifications.